♦ Will Real World Patient Evidence Have An Impact On Stem Cell Legislation? Patients For Stem Cells (PFSC) encourages you to listen to this important webcast regarding the medical innovation bills that are currently before Congress, including the REGROW legislation for cellular therapy. This legislation will determine whether patients have access to life saving cellular therapies in the U.S., or must continue traveling to offshore clinics. The webcast was hosted by the Bipartisan Policy Center (BPC) on June 23, 2016 9:00. Click here to listen to Webcast, and scroll down the page to access the videos. We previously covered the impact that Doug Oliver made with his Senator, Lamar Alexander (R-TN). Oliver told his story of recovery from blindness thanks to his own stem cells to Alexander, who is Chairman of the Senate Health, Education, Labor and Pensions Committee. The HELP Committee will be voting in the near future on stem cell legislation like the REGROW bill, which outlines an accelerated approval pathway to cut time and cost of the approval pathway in half. Both Alexander and Oliver will be on the BPC panel. Our Cells Are Not Drugs! 1. The REGROW bill reaffirms the FDA’s erroneous jurisdiction over the use of a patient’s own stem cells. The classification of one’s own stem cells as a drug, makes this therapy subject to the extended drug approval pathway that currently costs $1 billion dollars and takes 10 years. While the bill offers to cut this in half, it is based on the wrong premise that our own stem cells should be considered a drug. This type of therapy is more akin to banking your own blood for a later transfusion. PFSC documented this erroneous regulatory position taken by the FDA in 2012 in The History of FDA Control of Your Body. Recently, this was further explored by Richard Jaffe, a health care litigator who has worked on many of the most significant, high profile heath care cases of the past twenty plus years, and helped organize and testified at several Congressional Hearings on various issues related to access to experimental medicine. In an essay titled S 2689: Congress to the rescue on stem cells? (NOT) Richard explains why the REGROW bill would allow the FDA to prohibit some same day autologous stem cell procedures. An example is the orthopedic treatments currently offered at over 800 clinics across the U.S. This includes procedures where your own stem cells are injected into an injured arthritic hip or knee, at a cost usually under $5,000. Instead of a knee or hip replacement with costs $50,000 to $100,000 and has more risk, pain and poorer outcomes. Putting this on the drug approval pathway would delay access and multiply the cost of a procedure that has already successfully helped thousands of patients avoid disability and stop pain. Therapies already in use and accumulating safety and effectiveness data should not have to go back to the starting line. This point is clearly underscored by this Fox News article which points out the current move by the FDA further restrict cellular therapy would make cataract treatments illegal! Cell therapy reversed blindness for 47,000 patients in 2015. So why is it against the law? 2. Just because stem cells are expanded, that doesn’t turn them into a drug. In January 2016 MD Monthly Magazine published an opinion piece, by one of the founding members of PFSC, SammyJo Wilkinson. She recounted the life-saving cellular therapy she had in 2012 from Houston-based biotechnology company, Celltex Therapeutics. Celltex took her adipose-derived stem cells and cultured them in their state-of-the-art, FDA-regulated laboratory, to reach a therapeutic dose in the hundreds of millions of mesenchymal stem cells, or MSCs. Her first round of therapy was administered in Houston. However, shortly after, the FDA made a ruling that expanded (cultured) adult stem cells constituted a biological drug. Celltex was forced to move therapy to Cancun, Mexico, where SammyJo continued therapy after a year delay. While Celltex continues to operate a best-in-class cGMP laboratory in Houston, the company exports cells to Mexico, in accordance with the Federal Commission for Protection against Sanitary Risk (COFEPRIS), which is considered the regulatory equivalent of the FDA in Mexico. Cells are used by licensed physicians at Hospital Galenia for therapeutic applications. 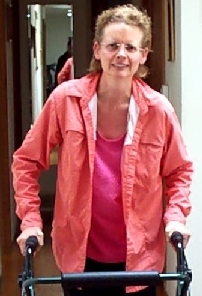 Adult stem cell therapy spared SammyJo from 20 years of disabling multiple sclerosis, and impending nursing home care. By 2014 her disease was in remission. Today she is still living at home with her husband. She is pain-free, and four years into recovery. Recently, she reached a milestone with the ability to stand up from her wheelchair and walk 100 feet with a walker. The FDA ruling in 2012 claiming that expanded cells are “more than minimally manipulated” was not supported by scientific evidence, and the FDA ignored the fact that the expanded cells that saved SammyJo’s life were identical to the original cells taken from her body. PFSC is happy to see Real World Patient Evidence given credit, and is happy to add the many success stories we have documented. This is what motivates our grassroots advocacy effort to make this therapy available to all Americans. The current legislative effort needs to take our perspective on FDA over regulation into account. We herewith submit this article as patient testimony to the Congressional hearings on regenerative medicine therapy. This entry was posted in Patient Stories, Take Action and tagged regenerative medicine, REGROW Act, stem cell legislation on 06/23/2016 by patients. Senator Mark Kirk says patients should not have to go out of country for stem cell therapy. 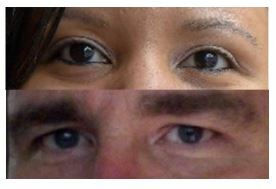 In March we reported on two patients who had regained vision following stem cell therapy in the U.S. We also asked readers to contact their Congressional Reps in support of legislation to accelerate regenerative medicine, aptly named the REGROW Act, submitted to the Senate HELP Committee by Sen. Mark Kirk (R-ILL). Thanks in part to patient activism, the bill made it through the April 6th Senate markup session. Doug Oliver, one of the patients in the vision story, made a real impact with his patient advocacy. He is a constituent of Senator Lamar Alexander (R-TN). They met and discussed stem cells just before the Senate session, and the Senator recounted Doug’s stem cell treatment success! 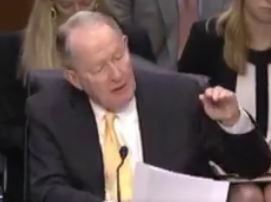 Senator Lamar Alexander recounts a constituents stem cell success. Click to watch Senators comments. An interview with Doug Oliver was just published by USC Center for Health Journalism, ‘Using Stem Cells to Reverse Vision Loss‘. Stefanie Cowley is another patient advocating for REGROW. Within days after receiving stem cell therapy, client Stefanie’s pain level due to Multiple Sclerosis was reduced. Watch this news story to learn more about her journey to improve her quality of life. The REGROW legislation of 2016 (S. 2689 / H.R. 4762) is bipartisan, bicameral legislation supporting faster adoption of adult, non-embryonic cellular therapy. Senator Kirk is joined by the following legislators as co-sponsors: Joe Manchin (D-WV), Susan Collins (R-ME), Representatives Mike Coffman (R-CO), Mark Takai (D-HI) and Morgan Griffith (R-VA). It is important to keep our voices as patients involved in the decision making process. After all, we are the primary stakeholders. Our health and well being is at stake. You can also request an in-person meeting with your Congressional reps, just like Doug Oliver had with Sen. Alexander. CellTherapyNow.org is a website set up by supporters of REGROW. There is a webform to send email to your all your Representatives with one click, urging them to support REGROW. Also review the list of supporting organizations. The Bipartisan Policy Commission held a public panel discussion on 4/12/2016 with cellular therapy experts and patients, on the REGROW legislation. Scroll down the page to watch the videos, including Arnold Caplan, PhD, whom we can all thank for his monumental discovery of the Mesenchymal Stem Cell. He has also been a leading proponent of an accelerated approval pathway. These are some of the questions that are being addressed as the legislation takes shape. Does the REGROW legislation protect the POM pathway as it exists today, i.e. can I still go to an orthopedist and get my arthritic knees or torn tendons treated with a) same-day bone-marrow aspirate b) same-day SVF from adipose tissue or c) platelet rich plasma (PRP). or, will these procedures be subject to the same new conditional approval pathway, requiring the physician to process my cells in a cGMP lab, file an IND, complete phase 1-2 FDA trials, enter conditional approval for 5 years, then file for a BLA drug license with the FDA, all of which will cost millions of dollars, and increase the cost of same day stem cells. The same question applies to clinics treating COPD and other lung conditions with same day stem cells from bone marrow and adipose tissue. 2. Some same-day clinics offer treatment for serious neruo-degenerative conditions like ALS, MS and Parkinson’s, but all the University trials for these conditions are using higher dose expanded mesenchymal stem cells. Will same-day treatments for these more serious conditions have to follow the conditional approval pathway, similar to high-dose trials? The best way to understand the impact of REGROW legislation is to look at specific trials. University of Miami has several cardiac trials in ph 1/2. If a trial completes ph 2 and is eligible for conditional approval, what would that mean to patients? Would we be able to pay to receive the therapy, and what might the cost be? 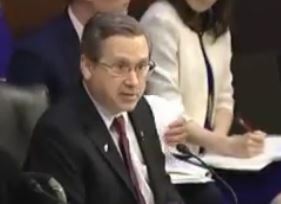 Sen. Kirk has mentioned that this bill would stop the flow of medical tourists out of the U.S. but there is one specific therapy that is available in the U.S. at a cost of $125,000, the HSCT trial at Northwestern University, for autoimmune disease like MS and CIPD. Insurance is even covering it for some patients, but those who do not qualify, or can’t afford it, are seeking the same treatment in Russia for $45,000 or Mexico for $55,000. How will the REGROW legislation help these patients so they don’t have to leave the country? 5. How will the REGROW legislation affect the 4 draft guidances the FDA was going to hold a Part 15 public hearing for on April 15th, 2016, that has been postponed until end of year. 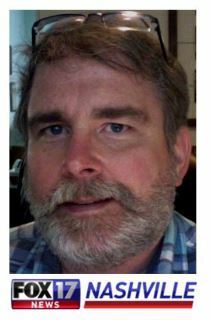 The opposition so far comes from Paul Knoepfler, Associate Professor at UC Davis. Paul is an academic researcher investigating Induced Pluripotent Stem Cells (iPSC), a promising technique of manipulating skin cells into any type of cell required for repair. But this is still years away from clinical trials. Paul also blogs about patients trying to gain access to cellular therapy. In this post he is joined in concerns about this legislation by The Alliance for Regenerative Medicine (ARM), a lobbying organization for cellular companies primarily focused on cell products manufactured from donor cells, which truly fit under the category of cells=drugs, and require the traditional drug testing pathway to ensure safety. One has to consider if their concerns are more about patient safety, or the threat to their academic and commercial interests, which could be threatened by patients gaining faster access to their own stem cells. However, there is a place for off-the-shelf allogeneic (from a donor) cellular therapy, for conditions that prohibit using one’s own adult (autologous) stem cells. Such as graft-vs-host-disease, where the immune system is in such crisis that healthy donor cells are required. Such a GVHD product from Mesoblast has already been approved under Japan’s Regenerative Medicine Act, including insurance coverage during conditional approval. Another case is acute conditions like heart attack or stroke, where the treatment must be administered immediately, and autologous extraction would cause too much stress for a critical condition patient. There are plenty of sick patients so there’s plenty of market share for all types of cellular therapies. Personalized medicine using one’s own autologous stem cells is the farthest along in human trials for both safety and effectiveness. Until other approaches catch up, this method should be the logical focus to save lives and alleviate suffering. We will keep you up to date on the progress of REGROW legislation as it unfolds! This entry was posted in Patient Stories, Take Action and tagged REGROW Act, stem cell legislation on 04/11/2016 by patients. March 13th, 2016 – Stem cell patients are making news! PFSC brings together all the reports on Doug Oliver and Vanna Belton, both of whom have regained vision thanks to a pioneering trial led by Dr. Jeffrey Weiss. First, THANK YOU! to all PFSC subscribers for responding to the FDA Part 15 Hearing registration drive. As hoped, the overwhelming response caused the FDA to postpone the April 13th hearing, and there will be a collaborative workshop w/ stake holders. We look forward to open dialog with the FDA. More info forthcoming as soon as we learn of it. To help readers understand what this legislation could do for the health of Americans, PFSC will run a series of posts highlighting the positive outcomes from clinical trials, and patient stories. For conditions ranging from orthopedics, to stroke and autoimmune diseases. Starting with this story on vision recovery previously thought to be impossible. Doug Oliver’s vision has been deteriorating since he was 30 due to a form of macular degeneration called Autosomal Dominant Drusen. By his early 50’s, Doug was legally blind, and could no longer drive or see faces. Doug’s story was covered by Nashville Fox Affiliate WZTV, in a year-long series of reports by Mikayla Lewis which tracked his recovery from legally blind to regaining his driver’s license. His vision changes are documented in his medical records from exams at Vanderbilt University Eye Institute; he has released these records to the public as part of his effort to spread awareness of this treatment. May 2015, the time of his first television interview with FOX, (before treatment), his vision was 20/400 in the right eye and 20/2000 in the left. Oct 2015, at the follow-up interview (after treatment in Aug 2015), his vision had improved to 20/40 and 20/40 visual acuity range, which is legal for driving. Dec 2015, Doug received his driver’s license. Mar 2016, his vision is 20/30 in his right eye and 20/40 in the left. Mar 11th, 2016 Mikayla Lewis returns to see Doug taking his wife for a drive “Stem Cell Therapy Helps Blind Man See“. In his latest interview, Doug addresses a common confusion. When people hear “stem cells” they think of therapies that utilize embryos. The reporter includes an explanation by former Senator Bill Frist, MD that research on use of embryonic cells is fading. Adult stem cells from one’s own tissues are proving to be the safer and more effective method. Vanna Belton’s vision was 20/3000 in both eyes, after she lost her sight in a matter of weeks in 2009 due to a severe onset of optic neuritis, leaving her completely blind. Vanna is still considered legally blind, but following stem cell therapy in the SCOTS trial in 2014, she can now see enough to no longer need a white cane. Vanna’s case presentation has been published in Neural Regeneration Research Journal, and is currently being submitted for follow up peer-reviewed publication. The reports on Vanna’s case span the range from positive, factual, to a little histrionic. Patients considering such an investment in experimental therapy that has not yet reached publication or approval need to have all the information available. 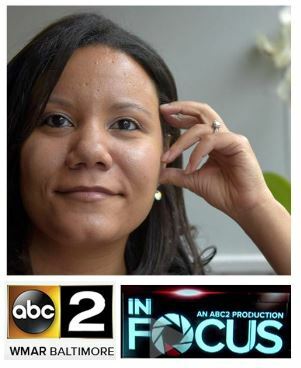 ABC Affiliate WMZR covered the positive aspects of her story, like becoming a productive entrepreneur and opening her own restaurant after regaining some sight. Feb 18th 2016, The Baltimore Sun “Woman’s blindness apparently reversed by stem cell treatment“. Feb 29th 2016, BEC CREW for Science Alert blog “A blind woman has regained sight following a controversial stem cell treatment“. Feb 29th 2016, Inverse Science Tech blog “Renegade Stem Cell Researcher “Cures” Blindness“. Is this press release the Principal investigator, Dr. Jeffrey Weiss, a board certified retinal surgeon and ophthalmologist, explains the Florida-based Stem Cell Ophthalmology Treatment Study (SCOTS). It is registered with the National Institutes of Health with identifier NCT01920867. It lists the conditions treated by SCOTS, as well as study contacts. The study uses the patient’s own stem cells obtained under anesthesia from the bone marrow. These cells are injected around and potentially in the eye. In the above media reports Dr. Weiss states 278 patients have been treated, and 60 percent of his 278 patients with macular degeneration, glaucoma and other diseases have regained some sight. Like many of the cellular therapies offered in the U.S. the SCOTS trial is a patient-funded clinical trial; in this case treatments cost $21,000, which insurance does not cover because the procedure is investigational. Doug raised the funds for the treatment from his local community and through a GoFundMe campaign. Vanna spent her wedding budget to pay for treatment and got married at the courthouse instead. The SCOTS trial is tracking patient results and submitting early initial case reports like Doug and Vanna’s to peer-reviewed publications. This is the first step in the process leading to publishing the results on all of the patients to determine safety and efficacy. If results warrant it, the therapy could be approved. Multiple trials and many years are usually required for approval, but the new legislation being introduced to the Senate HELP Committee could speed this approval process. Senators Mark Kirk and Susan Collins are poised to introduce this legislation, because they recognize the hardship placed on patients with difficult to treat diseases, who are left with no option but to raise funds for cellular therapy, and many have to travel outside the U.S. to received treatment. Mar 16, 2016: The Kirk/Collins bill will be introduced to the Senate HELP Committee. Apr 06, 2016: The bill is scheduled for markup (approximate date). Click TAKE ACTION for step by step instructions and draft letters you can email your Senators today. Your story can make it clear why this bill will help patients, whether you are a patient, or know someone who needs stem cells. If you are in a state that has a Senator on the HELP Committee, we urge you to schedule an in person meeting during recess March 27th-April 4th. Patient For Stem Cells will be monitoring this legislative process and reporting developments as they happen. This may finally bring together all the stake holders, the regulators, legislators, researchers, physicians and patients, so that cellular therapy finally gets the high priority that a breakthrough therapy deserves. Please use the share buttons below spread this post far and wide so our Senators get plenty of emails! If you have a stem cell story you’d like us to cover, or wish to report on your interaction with your Senator, please Contact PFSC. This entry was posted in Balanced Journalism, Patient Stories, Take Action and tagged REGROW Act, stem cell legislation, stem cells on 03/13/2016 by patients.